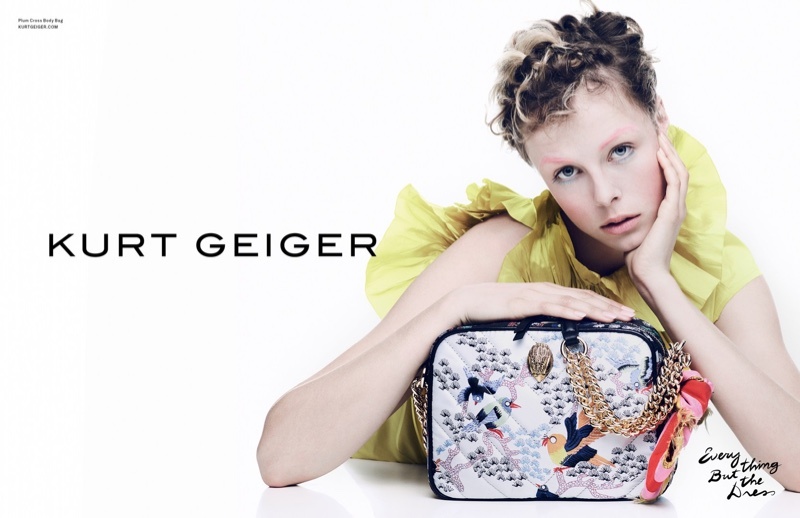 Kurt Geiger's Spring/Summer 2017 Campaign gets eccentric, and stars model Edie Campbell, who shows off the luxury shoes and accessories from the label. The British model is photographed by Erik Torstensson, and wears stylish ensembles which go well with the footwear and accessories. 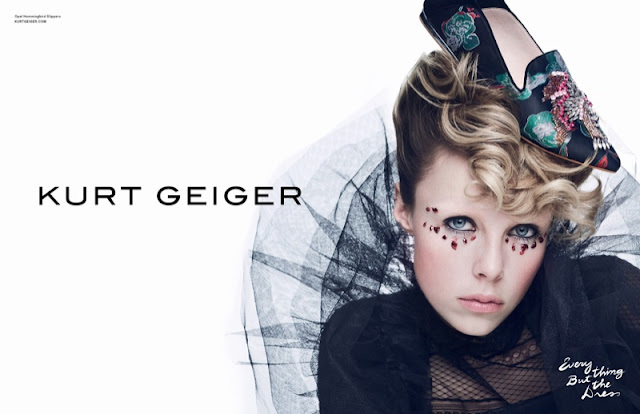 Dressed up in tulle tops, a curled coif and bold makeup, Edie wears embellished footwear including the Opal Hummingbird Slippers, the Otter Pointed Mules, the Halo Wedge Sandals and more. 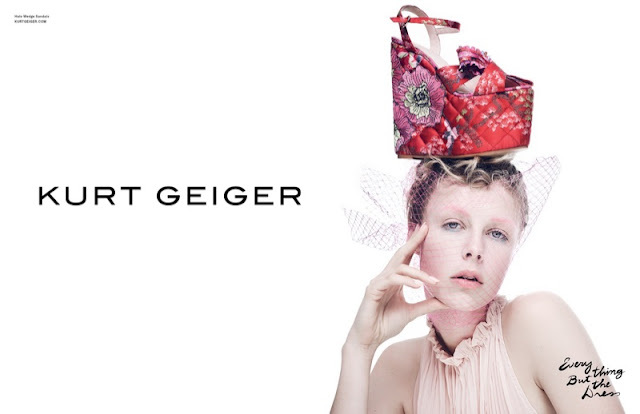 Kurt Geiger's Kascade Brocade Mules, and the luxe pearl studded Carvela Leigton Loafers and the Lunar Mid-Heel Shoe and the Orla Flatform Trainers are also seen in the latest collection. 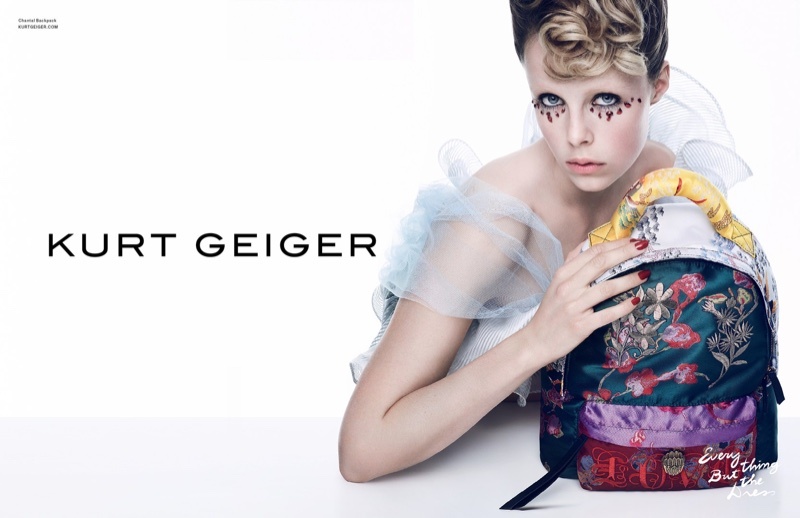 The popular high-end brand also highlights backpacks and handbags in the campaign, including the Cle Keyhole Bag.